Retrospective posts seem to be going up on blogs everywhere as 2011 draws to a close. 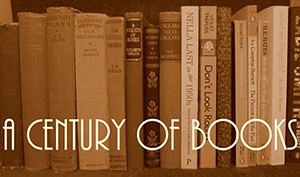 I have been loving the many 2011 favourites lists, which making for some excellent and very tempting reading. My list is a few days off, both because I’m finishing off a book that might very well make it on and because I find it excruciatingly difficult to pass judgement on the many wonderful books I’ve read. I’ll draft a list one day and then come back the next and wonder what I was thinking; how could I have though ——– was worthy of the list? How could I have excluded ———? List making is serious business, a delicate art rather than science, and I have some difficult choices ahead of me. Less challenging, thankfully, is recapping the challenges I participated in this year (excluding the Canadian Book Challenge 4, which wrapped up at the end of June): the Victorian Literature Challenge and the Eastern European Reading Challenge. My goal for the Victorian Literature Challenge was to read between 5 and 9 books. I had an enormous amount of fun coming up with a book list for this challenge and then promptly ignored all Victorian lit for several months. As usual when I spend hours making a reading list for a challenge, I ended up reading almost nothing from it. It took me until April to get started on the challenge, with a wonderful reread of Wives and Daughters, one of my all-time favourite books. 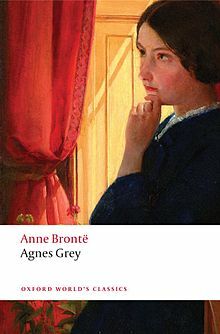 I then read Agnes Grey and, in Anne, finally found a Brontë sister whose work I can enjoy. I tried Mrs Oliphant for the first time, reading her novellas The Rector and The Doctor’s Family, and was not particularly won over (though listening to the BBC radio dramatization of Miss Marjoribanks this autumn has made me wonder if I shouldn’t give Oliphant another chance). 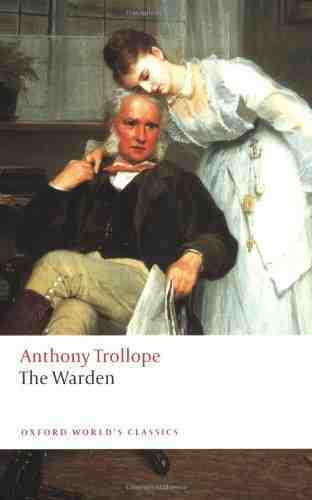 And, most wonderfully of all, I finally discovered Trollope. 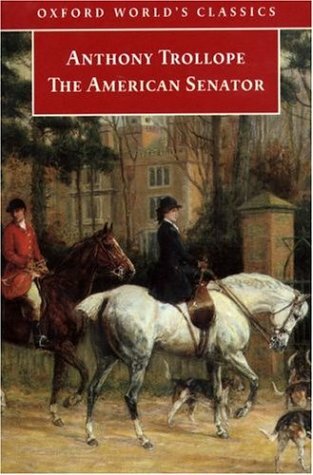 I enjoyed The Warden but fell completely in love with The American Senator. Reading Trollope has truly been one of the delights of 2011 and, having now amassed a considerable collection of his novels, I plan to continue my enjoyment in 2012 (and, most likely, every year after, reading and then rereading). And then there was the Eastern European Reading Challenge. My aim was to read 12 books either by authors from or set in Eastern Europe. Considering the generous definition of ‘Eastern’ (here, “Eastern Bloc” countries are all considered Eastern, regardless of their actual geographic orientation), I thought this would be a breeze. It really just seemed like a challenge tailor made to encourage me to read more Czech literature, history, and biographies, maybe with a dash over to Russia or Hungary for a bit of variety. Again, there was a delightful book list made to start things off and, again, I ended up reading very little from it (3 titles, somewhat better than the 1 I managed from the Victorian lit list). I started off well but then read nothing for the challenge between June and November. Whoops. Readers may have noticed a flood of reviews over the last few weeks of Eastern European titles in my desperate attempt to catch up and meet my targeted 12. But with only a few days left in 2011 and mountains of other, non-Eastern European books that I’m eager to read, I am officially admitting defeat and calling it quits at 11 books. Though it was hectic towards the end, I had an amazing time with this challenge. I ventured well outside of my comfort zone and found some absolute delights on my journey (The Snows of Yesteryear, The Gardener’s Year, Skylark, and Prague Tales stand out – several of which are currently in competition for spots on my Best of 2011 list). This challenge did absolutely what a challenge is meant to do: it expanded my horizons as a reader, enriching my life by introducing me to the unfamiliar. 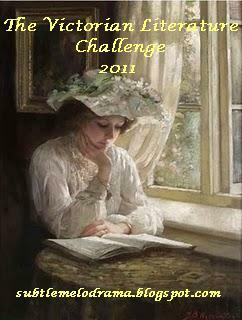 I truly loved my reading challenges for 2011, despite a few issues along the way, and am now in the midst of trying to decide what to join for 2012. The Eastern European Reading Challenge is being continued so that is a definite option but I do also like the idea of trying something new. If you’re participating in or are hosting any challenges next year that you think I might be interested in, please let me know! 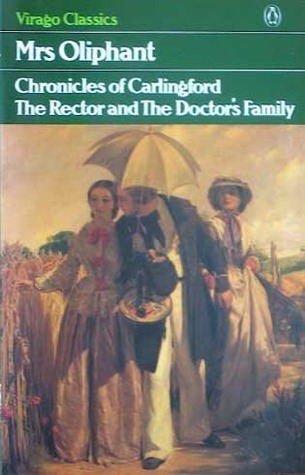 When I started to read The Rector and The Doctor’s Family by Margaret Oliphant, the first two novels in Oliphant’s “Chronicles of Carlingford”, I didn’t know what to expect. I’d never read anything by Oliphant before and had really heard very little about her. I’d heard her work compared to that of Gaskell and Trollope and, with such praise, thought I’d best try her for myself. After all, I love domestic novels about village life. Surely she would be a perfect fit with my usual reading? In theory: yes. In practice: not quite. His mother was, let us say, a hundred years or so younger than the Rector…Mr Proctor was middle-aged, and preoccupied by right of his years; but his mother had long ago got over that stage of life. She was at that point when some energetic natures, having got to the bottom of the hill, seem to make a fresh start and reascend. To his credit, Mr Proctor took up the position of rector in order to provide his mother with company and a comfortable home in her final years. Mrs Proctor is as socialable as her son is introverted, as forthright as he is timid. What an excellent heroine she would have made! The kind but inept Mr Proctor feels his shortcomings deeply and, miserable after his first true failure in his position (when he proves unable to counsel and comfort a dying woman and must step aside in favour of those who, apparently effortlessly, are able to succeed where he did not), he returns to his old college and the security it offers. But, the narrator reveals, even there he is not happy, knowing that he is taking the coward’s way out of a difficult situation rather than facing his limitations and forcing himself to conquer them. The ending is pathetically saccharine (I would have been so pleased if he had just disappeared into depressed obscurity) and far too neat and hopeful. There is a strong and off-putting moralizing tone that emerges and I find it difficult to palate. The work she had meant to do was over. Nettie’s occupation was gone. With the next act of the domestic drama she had nothing to do. For the first time in her life utterly vanquished, with silent promptitude she abdicated on the instant. She seemed unable to strike a blow for the leadership thus snatched from her hands. The ending is shockingly unsatisfactory. Nettie is a sad shadow of herself and the concluding events, so eagerly anticipated for much of the novel, seem manipulative and exploitative given Nettie’s weakened spirit. Between the two novels, there was really only one character I came away liking: Mrs Proctor, that charming, spry septuagenarian. And when I can’t like the characters, I really do find it difficult to like the book (particularly when unworthy characters are rewarded with relatively happy endings). I found Oliphant’s writing style unmemorable and uneven, with some quite clever passages followed by pages and pages of dull plodding stuff, and her tendency to moralize reminiscent of all those lesser Victorian novelists who rely on sentiment rather than skill. Clearly, I was not won over. Dear Readers, does she improve with other novels, does her style develop, her characterization gain depth? There was enough of merit here that I couldn’t quite abandon this book as I was reading it, enough promise (never quite fulfilled) that made me hopeful. If she is worth pursuing, if you can assure me there is still hope, then pursue her I shall. Oh, the Victorians. I have difficult relationships with most Victorian novelists. That the Brontë sisters, who I so dislike, are so closely linked with this period does it no favour in my eyes. 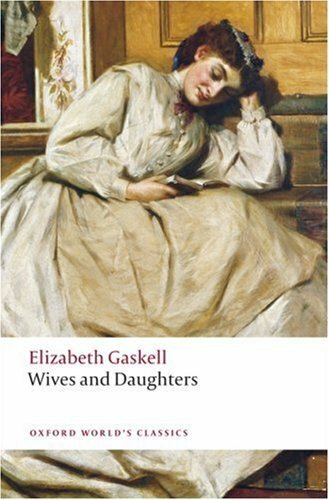 But then it did produce two of my favourite novelists, Thackeray and Gaskell, so surely it is worth giving more attention to. 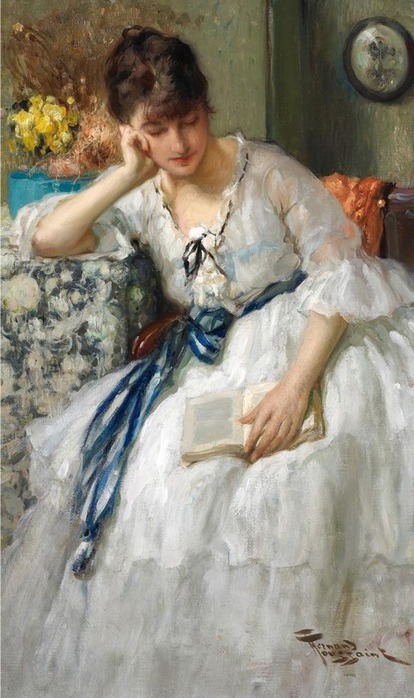 As a teenager I perhaps read too much Victorian fiction, gorging myself on sensational plots and strict moral codes until I little appetite left for either. Now, seeing the Victorian Literature Challenge 2011 advertised on other blogs, I wonder if it isn’t time to give the Victorians another chance. I’m not sure whether I’ll officially join the challenge but I’m certainly contemplating it and, if nothing else, it has provided an excuse for me to make a list (and I do love lists). My favourite 19th Century novel, bar none (yes Janeites, I love this even more than my beloved Emma). Becky Sharp only becomes more delightful with every rereading and my affection for Dobbin knows no bounds. I still haven’t read this. Shame on me, I know, particularly since everyone else seems to adore it. Another of those novels that always earns a place on my favourites list. Gaskell is at her best here with the loyal Molly, the fickle Cynthia, and the superbly comedic Hyacinth. I am also terribly fond of Roger, who apparently not every reader views as the ideal romantic hero (fools, all of them!). I’ve yet to finish any Dickens novel but this is always the one I’ve been most interested in. Let us hope that if I choose to start it I’m able to see it through to the end. Carolyn reviewed this last week and I’ve heard great things about Trollope in general. Where better to start than with the first of the Palliser’s books? I’ve been promised politics and many, many pages – usually a recipe for success with me. Because it’s one of those novels I feel like I should have read but still haven’t. For fun. This is the kind of Victorian lit I like most: the fantastical, the adventurous, the kind to inspire the imaginations of readers young and old. One of the few Kipling works I haven’t read. Harvey Cheyne is the over-indulged son of a millionaire. When he falls overboard from an ocean liner he is rescued by a Portuguese fisherman and, initially against his will, joins the crew of the We’re Here for a summer. Described as the story “of a mother’s fight for the life of her illegitimate son” I have to admit that I’m mostly interested in this novel because it is also considered “one of the finest of naturalistic novels”. Aside from Zola, I haven’t read many other European naturalist novels. Because I feel like I should, even though I can’t seem to work up much enthusiasm for it. The story of the aging but powerful Catherine Vernon, and her conflict with the young and determined Hester, whose growing attachment to Edward, Catherine’s favorite, spells disaster for all concerned. Lyndall, Schreiner’s articulate young feminist, marks the entry of the controversial New Woman into nineteenth-century fiction. Raised as an orphan amid a makeshift family, she witnesses an intolerable world of colonial exploitation. Desiring a formal education, she leaves the isolated farm for boarding school in her early teens, only to return four years later from an unhappy relationship. Unable to meet the demands of her mysterious lover, Lyndall retires to a house in Bloemfontein, where, delirious with exhaustion, she is unknowingly tended by an English farmer disguised as her female nurse. This is the devoted Gregory Rose, Schreiner’s daring embodiment of the sensitive New Man. A cause célèbre when it appeared in London, The Story of an African Farm transformed the shape and course of the late-Victorian novel. From the haunting plains of South Africa’s high Karoo, Schreiner boldly addresses her society’s greatest fears – the loss of faith, the dissolution of marriage, and women’s social and political independence. When the aristocratic Lady Isabel abandons her husband and children for her wicked seducer, more is at stake than moral retribution. Ellen Wood played upon the anxieties of the Victorian middle classes who feared a breakdown of the social order as divorce became more readily available and promiscuity threatened the sanctity of the family. The Doctor’s Wife is Mary Elizabeth Braddon’s rewriting of Flaubert’s Madame Bovary in which she explores her heroine’s sense of entrapment and alienation in middle-class provincial life married to a good natured but bovine husband who seems incapable of understanding his wife’s imaginative life and feelings. A woman with a secret, adultery, death and the spectacle of female recrimination and suffering are the elements which combine to make The Doctor’s Wife a classic women’s sensation novel. Yet, The Doctor’s Wife is also a self-consciously literary novel, in which Braddon attempts to transcend the sensation genre. Describes a comic expedition by middle-class Victorians up the Thames to Oxford. It provides brilliant snap-shots of London’s playground in the late 1880s, where the fashionable steam-launches of river swells encounter the hired skiffs of city clerks. The medley of social vignettes, farcical incidents, descriptions of river fashions, and reflections on the Thames’s history, is interspersed with humorous anecdotes told by a natural raconteur.